SACRAMENTO, CA - Beware the Sacramento Kings. Forget about the fact they’re 20 games below .500. Disregard the less than regal reputation they have developed over the past several years. The truth of the matter is that Sacramento is a dangerous team plenty capable of rising up and smiting any opponent on any given night. Since their trade deadline deal with Houston that brought Patrick Patterson, Toney Douglas and Cole Aldrich to California’s capitol, the Kings have posted a respectable record of 8-9 that includes double-digit thrashings of Chicago and the Clippers, and an impressive road win over Golden State as well. They gave the Heat all they could handle in the midst of Miami’s 27-game winning streak, only falling when the defending champs finally pulled away in double-overtime. Isaiah Thomas is on a five-game roll that has seen him average nearly 20 points and six assists per contest while knocking down 51 percent of his attempts from beyond the arc. But perhaps nothing is more impressive or eye opening than this: since Sacramento’s new players arrived, the Kings have deployed the most efficient offense in the NBA; yes, an attack that even eclipses, if only just barely, the one possessed by the juggernaut down in South Beach. Of course, the Rockets likely don’t require any recent reminders about the Kings' potential potency. 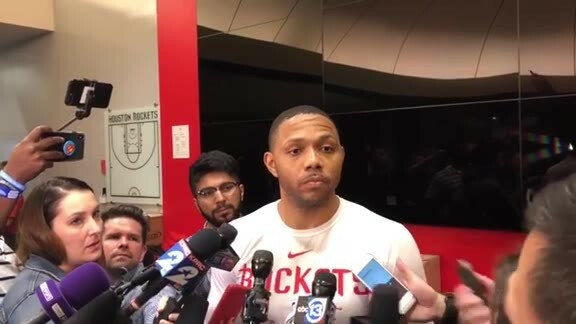 All Houston’s players and coaches need should they wish to recall the threat posed by Sacramento is to reflect upon the February 10 meeting that saw the Kings rally for a 117-111 win. The 5-9 Thomas transformed into a giant in the fourth quarter that evening, scoring 17 of his 23 points in the final frame. His dribble penetration – and Houston’s inability to contain it – opened up the entire floor for Sacramento, leading to a bevy of open threes for players like John Salmons to drain. 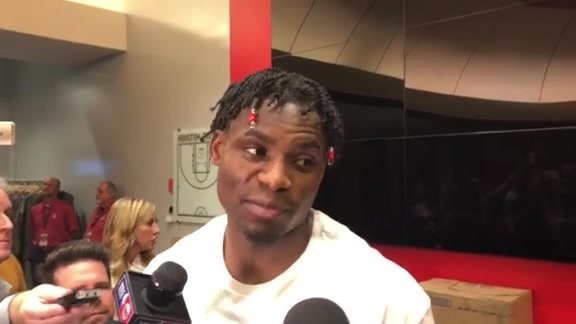 Priority one, then, for the Rockets’ backcourt players tonight will be doing a markedly better job fighting their way through pick-and-rolls in an effort to prevent Thomas and Tyreke Evans from wreaking havoc with their ability to carve into and through the heart of Houston’s defense. If the Rockets are able to put together an improved effort on the defensive end, that should go a long way toward securing their third straight victory because while Sacramento’s defense has improved since the trade, it’s still been performing at a bottom-10 rate. For the season the Kings rank 28th in transition defense and dead last in pick-and-roll D per Synergy Sports; an ominous sign for Sacramento given Houston’s proficiency in both pushing the pace and punishing opponents via the pick-and-roll. 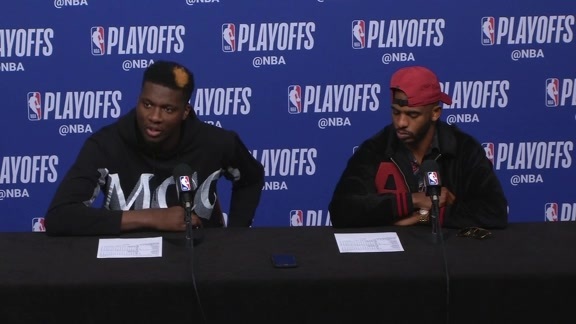 The Rockets will also welcome back James Harden and Chandler Parsons tonight after both missed Houston’s win over Orlando on Monday (Harden, of course, missed Saturday’s game against the Clippers as well). For Harden, that means tonight’s contest will mark his first time playing with the Rockets’ revamped starting lineup that now includes Greg Smith at the power forward position. McHale had been understandably wary about inserting Smith at that spot given that Houston’s season-long strategy has been to put a floor-spacing big in that position to clear the lane for Harden’s and Jeremy Lin’s forays to the hoop via Houston’s aforementioned parade of pick-and-rolls. Harden, however, expressed no concern when asked today if the new lineup could create more congestion and less room for him to operate when penetrating. 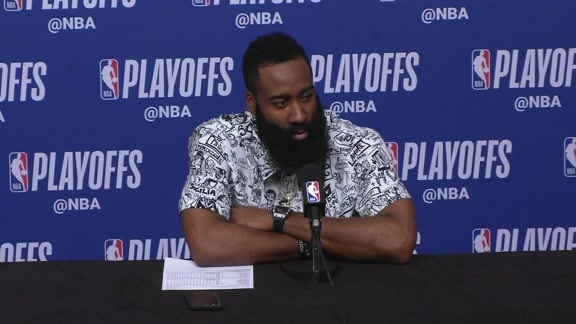 “Greg does a great job of finishing the basketball,” Harden said. “He has very big hands and catches all the crazy passes that I throw to him. He’s done a great job of earning his way into the starting lineup and it’s my job to make sure I make it easy for him. That mindset, it should be noted, mimics what McHale said minutes earlier when asked about Harden’s integration into a slightly modified starting five. 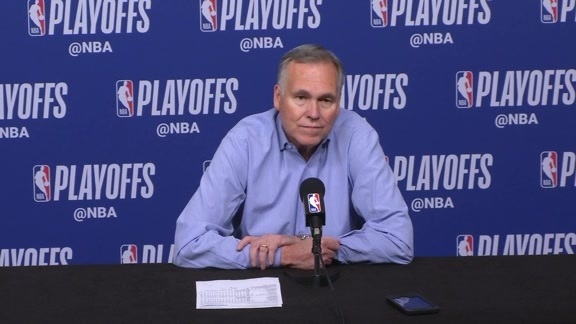 “We play better when we don’t hold it,” says McHale. “We play better when we play off the catch, when bodies are moving and stuff like that. We have to do that no matter who’s out there. Houston’s All-Star shooting guard saw the exact same thing from his vantage point on the bench the last two games. On multiple occasions this week he has praised the ball movement and defensive improvement he witnessed during his absence. His goal, then, is to make sure his return coincides with the continuation of those winning characteristics. “I see how well my teammates have been playing,” he said following this morning’s shootaround. 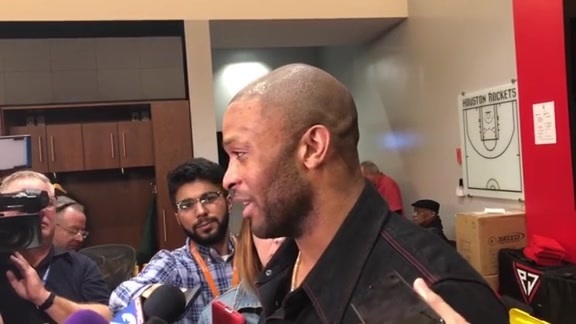 “I can’t just come back in the game with a not knowing mindset of how my teammates have been playing and who’s been playing well. For me to get back in the game, I need to get them going a little bit and feed off them a little bit.